Since Dener came into world in 1992, to be more precise March 13th, the midfielder is two years older than Portimonense SC's average player. Measuring 185cm, Portimonense SC's average player height surpasses Dener by 3cm. In Primeira Liga (Portugal), Portimonense SC is in tenth position. Until now, he has been present in 20 games. Dener played for Sao Paulo SP before ending up in Portimonense SC. To date, collectively he holds twelve penalties. Lately, he seems to be more quiet since less penalties were given to him than usually. 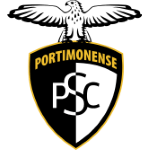 Besides Dener, there are seven more midfielders in Portimonense SC's lot: Pedro Sa, Marcel Pereira, Pepe, Lucas Fernandes, Bruno Reis, Paulinho and Theo Ryuki. He is enjoying a great Primeira Liga 18/19 (Portugal) season so far, netting twice (5.3% of his team's sum) and initializing one goals. This leads to roughly 0.05 assists and 0.1 scores per match in the resent season. One could say he translated to a slighlty diminished form compared to last year yielding a per-match-quota of 0.16 goals and 0.03 assists. In terms of winning, his team was able to do so in only 10% of Primeira Liga's matches. Weighing 154.32lb, Dener measures 11lb less than the average player on Portimonense SC. He wears the number 7 strip at Portimonense SC. His shortest stay in a club was eleven months in Sao Paulo SP (Brazil). 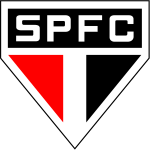 Dener's longest stay in a team counts 11 months in Sao Paulo SP (Brazil). He impressed in Segunda Liga 14/15 (Portugal), reaching his personal record of goals. While being substituted more out than in this season, we can observe that this trend came from last season. Moreover, he shows 41 out and 16 in substitutions in total. Throughout his professional career, Dener participated in 87 games, the last appearance being three days ago.